Why is MBE critical to today’s businesses? MBE is a business strategy that leverages an enterprise platform to maximize the benefits from digital data. 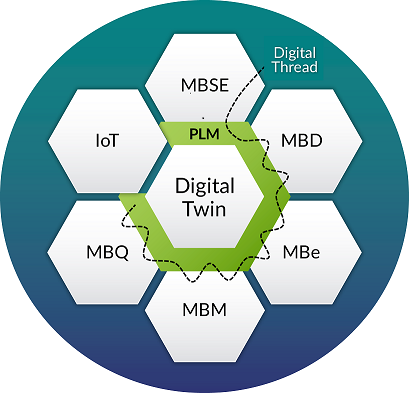 In an MBE, digitalization captures product IP while the digital thread framework connects the value chain to critical IP characteristics. By leveraging MBE, a company maximizes their competitive advantage by speeding innovation, increasing operating efficiencies and by delighting their customers with products that meet their needs. What is the advantage of a PLM to manage MBE? 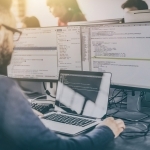 PLM technology is an enterprise platform with a set of capabilities to facilitate collaboration in product design and development: ideation, analysis, design, build, test, and field support; operation, maintenance, to support the value chain throughout the MBE. A digital twin is a physics-based description of a system resulting from the generation, management, and application of data, models, and information from authoritative sources across the system’s lifecycle. It can be used to validate and verify the physical product twin’s attributes such as configuration and performance as well as investigate issues including traceability, ultimately leading to faster and more accurate decisions. How can Razorleaf help your business? Razorleaf has a deep understanding of the challenges around implementing MBE strategies. Our strategic consulting helps identify the gaps of current technologies and will help your organization navigate the unchartered terrain. 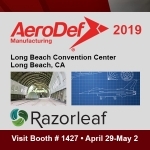 Razorleaf has developed and implemented value-based PLM solutions that enable MBE in a variety of automotive, aerospace and defense, medical devices, and high tech companies. Give us a call and we’d love to talk more about how we can help you set a sound MBE/digital thread strategy in your organization.